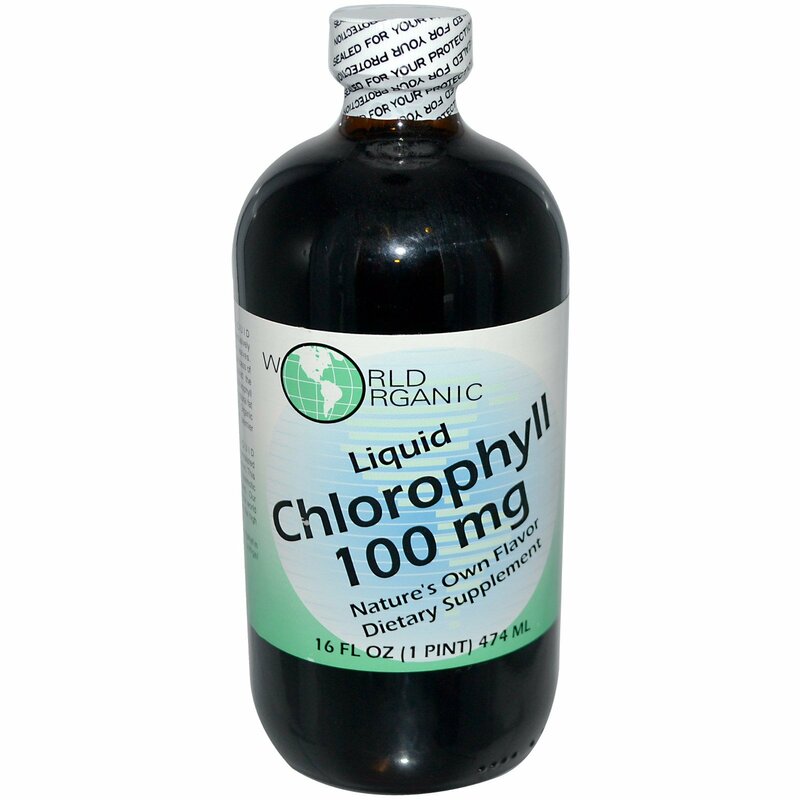 World Organic's Liquid Chlorophyll is derived exclusively from high quality alfalfa leaves. Chlorophyll is essential to the process of photosynthesis… often called the "building block of life." Without chlorophyll there is no life. 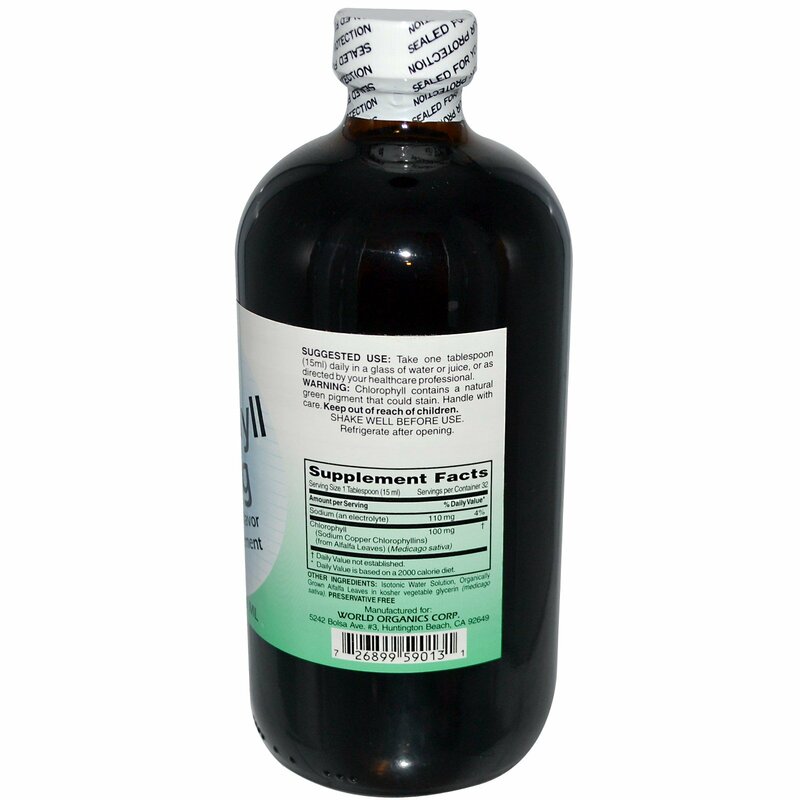 Chlorophyll is a natural fat soluble nutrient which World Organic makes water dispersible for premier results. World Organic's Liquid Chlorophyll is uniquely formulated into our exclusive isotonic solution. This distinctive solution is similar in it's osmotic compatibility with human blood. Our formula has been sold around the world for nearly 40 years affirming to the high quality of this wonderful product. Isotonic water solution, organically grown alfalfa leaves in kosher vegetable glycerin, (medicago sativa). Preservative free. Chlorophyll contains a natural green pigment that could stain. Handle with care Keep out of reach of children. Shake well before use. Refrigerate after opening.